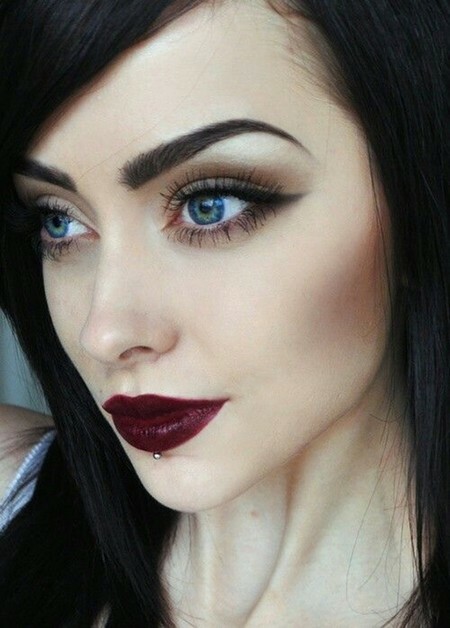 A labret piercing is often thought of like a lip piercing, however, labret piercings are not actually attached to the lip…it is done under the lip just above the chin. It is both a facial and oral piercing and is also called a tongue pillar since it pierces the area horizontally from the back to the front. 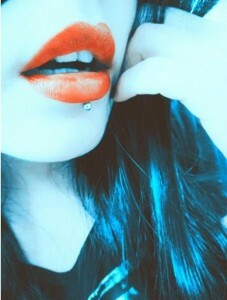 Placement of the labret piercing is important since too-short of a bar can actually sink into the lip. When a ring is intended to be worn in this piercing it is commonly done at a slight angle to keep the ring from rubbing the teeth. Labret piercings have become widely popular and there are several types of labret piercings and jewelry that we love and explain to you in this post. 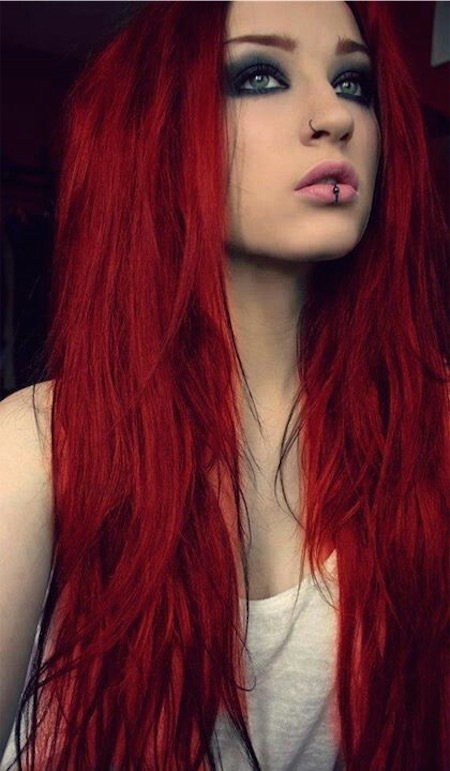 Labret or lowbret piercings come in a wide variety, not just in the form of jewelry you use. 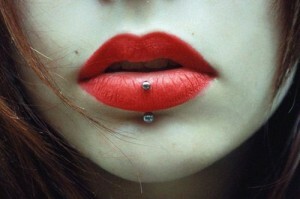 A piercing labret is primarily differentiated on the position of the piercing. As stated before, labrets are generally done horizontally from front to back. Only one end of the piercing is showing with a normal labret piercing, this could be a curveball, spike or any type of labret jewelry you prefer! 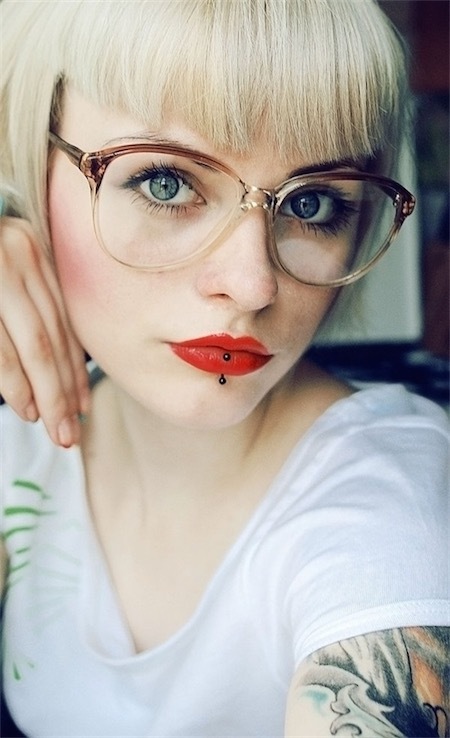 The vertical labret piercing is the kind of piercing where the lower bead would be at the same place where a normal labret piercing would be, which is just below the lip. The difference is that instead of passing through to the interior of the mouth, it travels in the upper direction coming out at the top or even slightly forward on the lower lip. 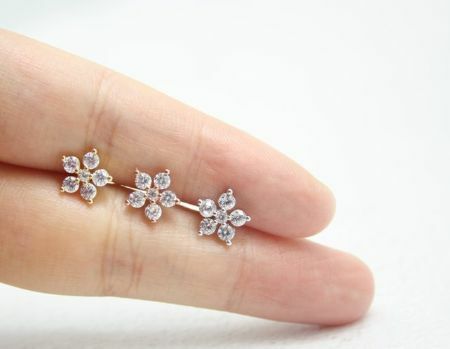 With this type of piercing, you will be able to see both sides of the piercing. 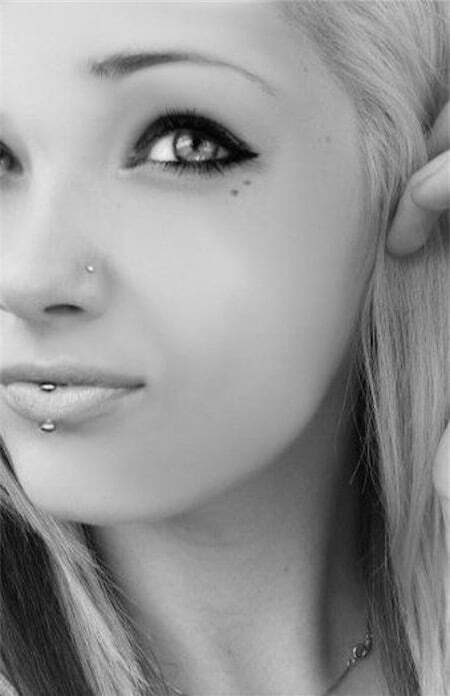 Most people use a curved barbell as jewelry in such piercings. Two labrets on each side of the lip are commonly referred to as a Snake Bites Piercing when captive bead rings are worn. Two Labrets next to each other on one side occasionally referred to as Spider Bites or Viper Bites. Two labrets next to each other under the middle of the lip are referred to as Dolphin Bites. Preparation is extremely important for a labret piercing because it incorporates the mouth as well. The mouth is full of many harmful bacteria many of which cause different kinds of gum diseases. Before you get a labret piercing, take a few days and focus on your oral hygiene. If you are used to brushing your teeth two times per day do it three times for the 6 days leading up to you getting your piercing done, and use mouthwash each time after brushing. Gargle with baking soda at least twice each day as well, you can do this before you use the mouthwash or as a replacement. Baking soda is one of those homeopathic treatment solutions for halitosis, as it kills the bacteria causing it and others as well. Floss! Bacteria feed’s on the food caught between our teeth and flossing removes it. If there is no food to feed on, the shorter the bacteria will live and the less of a chance you have to develop gum diseases that will cause severe infection to your labret piercing. Again, focus keenly on oral hygiene for at least 6 days leading up to the piercing and you will reduce all risks when getting a labret. The piercing experience itself is done in a split second, you will barely feel anything when it is being done. However, the pain and discomfort will come after with healing process. Consideration of the piercer is important. The experience of piercers vary and it is necessary that you do your homework when finding a piercer. 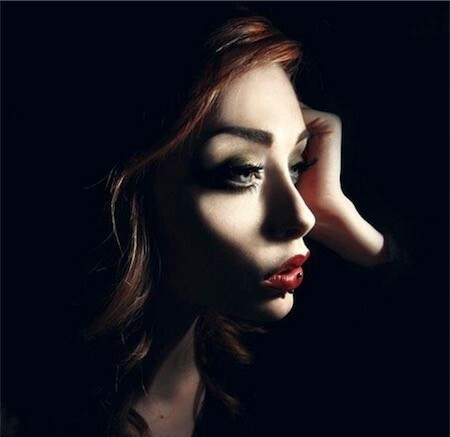 You do not want the piercing done haphazardly as aesthetically speaking it will not be appealing, and on a more internal note, you do not want unnecessary damage to your gum and lip. 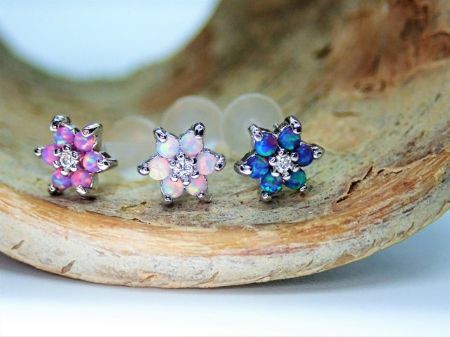 Like most other piercings, there is a huge variety of jewellery to choose from. 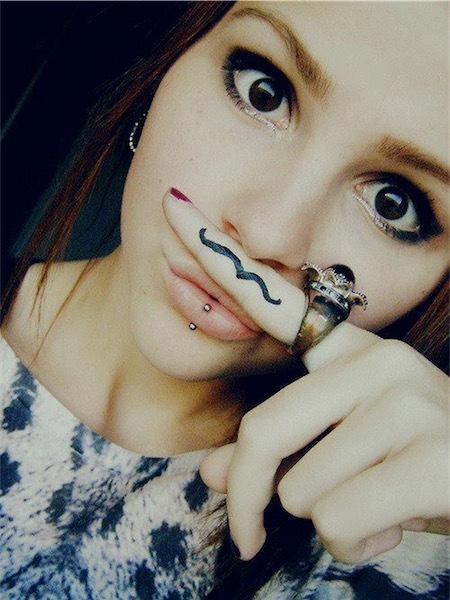 Nevertheless, lip rings with a flat interior and a ball or spike on the outside are the most popular and recommended. The flat interior of the ring will make the piercing more comfortable and also this flat side will do less damage to your gum and teeth. 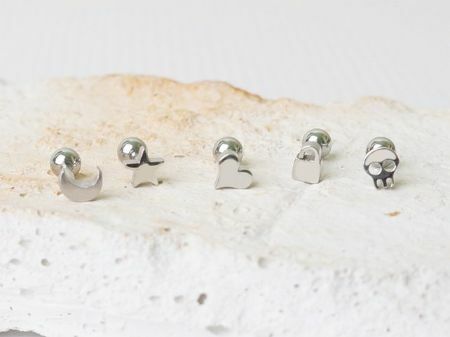 The size of labret rings can vary in length depending on which of the styles you choose or how innovative you are in making your piercing unique. A 16 gauge is usually used when speaking about width as it the most compatible with that area of the face. 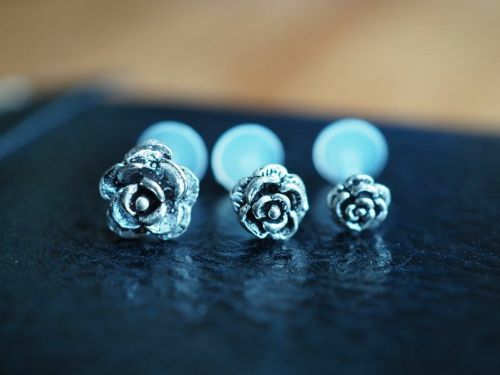 The cost will also vary depending on where you go and what ring you choose to use, for this reason, labret piercings can cost from $20- $100. The Labret Piercing has made its mark in history and significant contributions to various cultures. Be diligent with how you care for your piercing, proper care is essential to retaining it! Labret aftercare is essential to make sure your new piercing heals effectively. 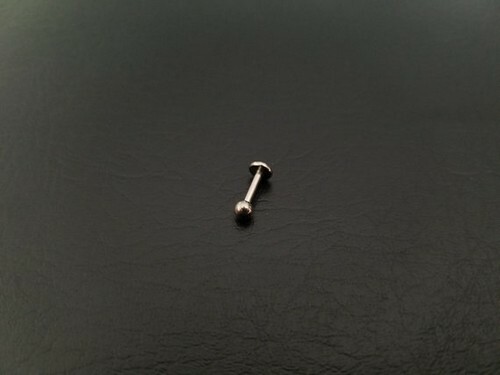 The healing period for labret piercing is usually between 6 to 8 weeks. However, this will also depend on how devoted you are to your vertical labret aftercare. Developing an infection rarely occurs since there is a particular enzyme named “Ptyalin” in our mouth which restrains the bacteria. Sometimes swelling can happen after 2 to 3 days after the piercing. But no need to worry since this can only last for 7 to 10 days. Always brush your teeth after eating. Do this gently and use a soft-bristled toothbrush. Be sure to rinse your mouth after eating and before going to bed. Use an alcohol-free, antibacterial mouthwash in rinsing your mouth. Soak the exterior part of your labret piercing in a saline solution. Do this two to three times a day. Rinse it with water to remove the residue. Use a fragrance-free, antimicrobial cleanser in cleansing the exterior part of your piercing. Let it stay for 30 seconds then rinse it with water to eliminate any remaining residue. In order to dry your piercing, pat a paper towel on your piercing. Avoid touching or removing your jewelry while it is still healing. Observe if there are any infection. 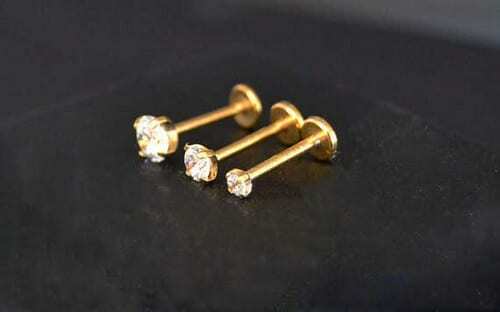 They are commonly thin, light yellow liquid that will emerge from your new labret piercing. In case you experience severe pain, fever, swelling, or you have noticed thicker fluid deposits, contact your doctor right away. Piercing Solution – Sea Salt – Tea Tree Aftercare is not applied directly to the piercing, instead a cotton ball is used in applying it. Pour this solution into the cotton ball then apply it to the piercing area. Hold it for about five minutes. Do this twice per day until such time that your labret piercing has been completely healed. Once you’ve felt that the cotton ball has started to get dry, put more solution into it. Benefits of Tea Tree Oil. Tea tree oil can help in healing your piercing faster. It has antibiotic properties that can fight bacteria. Teal tree oil is very effective on healing bumps and inflamed piercings. In cleaning the outer lip area, avoid using harsh skin care products, alcohol-based products, and gels. These products can irritate the piercing area and delay the healing. Instead, use solutions that are made of natural and skin-friendly ingredients like H2Ocean Piercing Aftercare Spray. When used regularly, this product can help in removing the discharge and lymph secretions on your piercings. Avoid using alcohol-based mouthwash since they are too harsh, most especially if your piercing is still fresh. Always do a saline mouthwash twice a day. A saline solution that is made of sea salt such as Recovery Oral Piercing Aftercare Sea Salt Mouth Rinse is greatly recommended for labret aftercare piercing. It includes a refreshing peppermint oil that can make your mouth feeling fresh. This is a natural mouthwash, hence, it does not contain any artificial ingredients. It is a natural solution that can make your piercing healthy. Sea salt contains minerals that can help in healing your piercing naturally and beautifully. Never use regular facial soap when cleaning the exterior part of your labret piercing. Wash it with an anti-microbial soap instead of an anti-bacterial soap. Provon Antimicrobial Lotion Soap is the most recommended soap for cleaning the outside part of your piercing. It includes conditioners that are gentle on your skin. 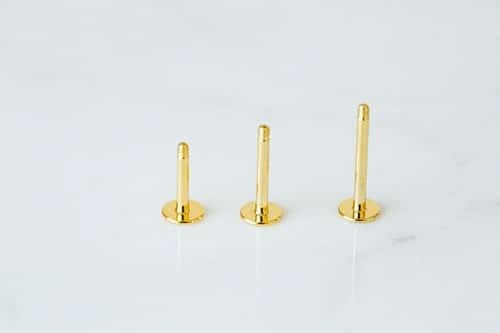 Best for horizontal labret aftercare or inverse vertical labret aftercare. After you wash your face, wash your labret piercing with anti-microbial soap, give it an extra clean with a Q-tip or cotton ball soaked in sea salt solution. Warm water soothes the piercing. However, if it is swollen you can find water a bit cooler than room temperature will be more soothing. It is usually recommended that you stay away from dairy products when you have a new oral piercing. However, since the area where a Labret piercing will be placed does not harbor as much bacteria as the tongue does (in regards to dairy consumption) ice cream or yogurt can be used to soothe your piercing. A better option is cracking ice-cubes into small pieces and letting it rest on the inside area of the piercing. Do not under any circumstances play with your piercing, this invites bacteria and the last thing you want is a festering infected piercing on the front of your face. 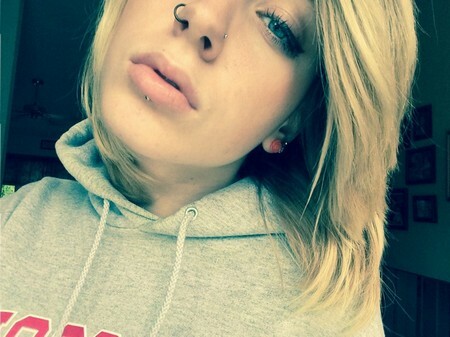 If your piercing is directly below your lower lip then chew slowly. The pain you will feel if you bite down on a fresh piercing will cause you to see many stars and literally howl like a werewolf in pain. Be careful, please. 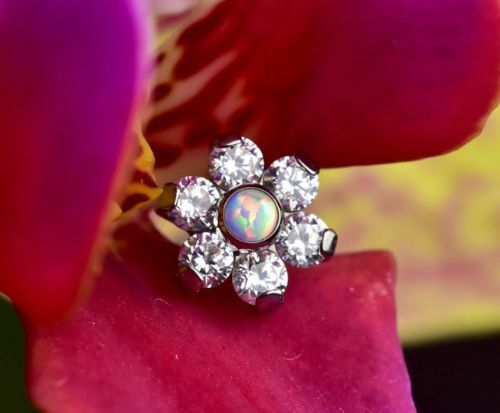 Do not change the ring in your piercing before it has healed as this could cause infection and irritation that will lead to longer healing times. Do not apply facial moisturizer around your piercing. If you have dry skin this is a prime time to follow the doctor’s orders and drink 8 or more glasses of water each day, this will help to flush your mouth and keep you hydrated- a double positive. Do not use Epsom Salts, Table Salt, Betadine, Polysporin, Neosporin, Bacitracin, Bactroban, Bactine or any other topical solution or ointment on your piercing what so ever. These products are not for use on Puncture Wounds. Do not use Sun Block, Sun Tan Lotion, Baby Oil or any other skin care product on a new or unseasoned piercing. If your piercing becomes infected it would simply mean you are not as diligent with your aftercare as you should be. Increase the frequency of your saltwater or mouthwash rinses to offset the infection. If it persists it could be a case where your body is rejecting the piercing in which case you should see your piercer, they will be able to advise you as to what to do from there. If you think you have trouble with your piercing contact your piercer and NEVER remove the jewellery from a suspected infected piercing. In the end, labret piercings didn’t just originate in the western culture where it is most visible now. 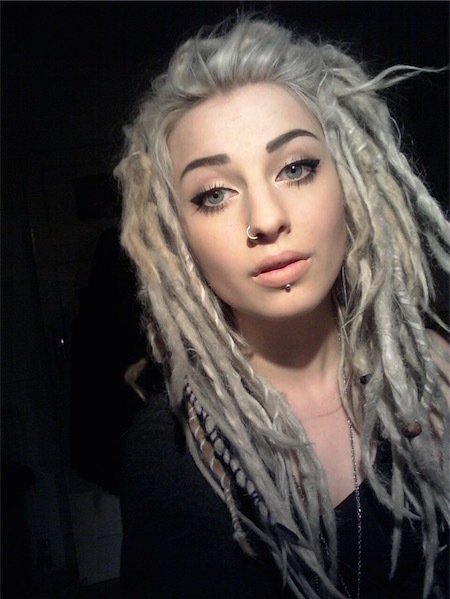 People who wear labret piercings have associated their own significance to each piercing and get them for reasons of their own. There are a lot of variations to find and before committing to a new piercing you should do your research. 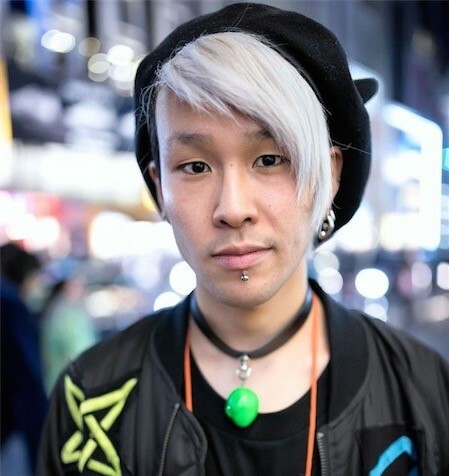 If you still haven’t decided on which lip piercing you want you can find a lot of inspiration in other posts about Snake Bites Piercings and other Facial Piercings.